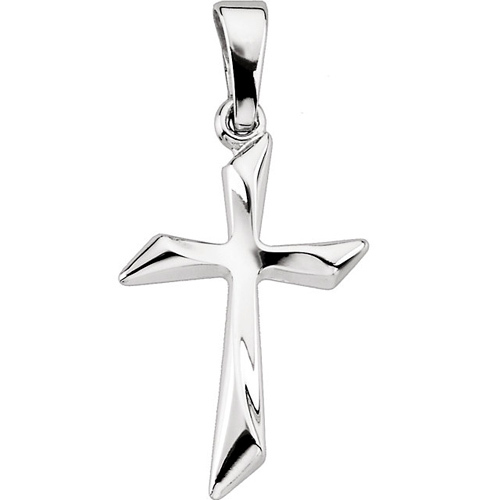 This 14kt white gold hollow angled cross pendant measures 18.5 mm by 13.00 mm and weighs 0.54 grams. This item is slightly larger than a dime. Fits up to a 3mm wide chain. Please note: weight is approximate, actual weight may vary. Chain not included.